September 2004, after a long flight the airplane finally arrives at the International airport of San Francisco. After dreaming of this trip for a long time I finally reached my dream destination, California! My stay in California was an amazing three month experience and time seemed to fly while I was there. 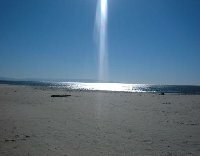 It is such an incredible place with its endless pacific ocean and the joyful people it almost felt a bit like paradise! The amazing beach in Santa..
California has a lot of places to offer that will take your breath away and Mother Nature sure has been generous here. Stunning beaches, enchanting forests and beautiful parks to everywhere, you will find something for everyones travel tastes. Besides nature California is home to some of the most incredible cities and San Francisco is the one city I will never forget. This beautiful city has a romantic touch and reminds some of the european cities back home. For me San Francisco would be the ideal place to live and this enormous metropolis situated right on the ocean has so much to offer from the characterisc port with all the nice seafood to the frenetic city live in the financial district with all its amazing buildings and structures. Then there is lovely Chinatown and the italian suburb of North Beach where you will forget that you're in the United States and even the street lights colour green, white and red. 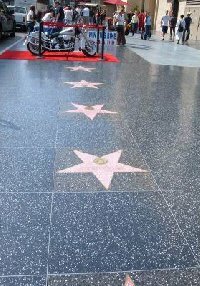 Los Angeles on the other hand was a bit of a disappointment to me and I found the whole thing a bit tacky. Of course one you're there it is one of the places everybody should visit. 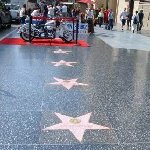 I will never forget walking around on Hollywould Boulevard with its Walk of Fame and the beautiful Chinese Theatre where you will find the foot and handprints of all the famous actors! 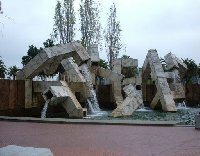 Other places which are nice to visit are the smaller towns of Monterey and Carmel. Monterey has a nice acquarium and an amazing panorama of the towns bay. Carmel was known for being the place Clint Eastwood use to serve as the towns former mayor. 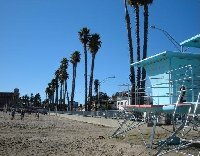 During my three month stay in California I also made a road trip from Santa Cruz, surfers' paradise, to Los Angeles. The highway which takes you on this route is simply amazing and if you have the time for a stopover in Big Sur I would recommend you to do so. In Big Sur you will find all the mansions of Hollywood and along 17 miles you will see nothing but golf clubs and VIP areas. You will drive along the state of Nevada which is located on California's eatern border so travelling this way you could easily include a visit to the city of Las Vegas. A place full of life and even if Las Vegas can be a little bit too much it still is one of the places in the United States that you have to see. The fountains of the Bellagio are spectacular and you can't leave Las Vegas without a visit to the casino. I even won 6 dollars!! Did you enjoy Roadtrip in California from San Francisco to Los Angeles and have you been on a holiday in San Francisco, United States? 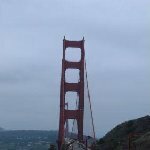 What to do in San Francisco: Go on a road trip around California!